What does Indira mean, details, origin, short & easy attributes? Indira pronunciation in 20 different native languages. Means "beauty" in Sanskrit. This is another name of Lakshmi, the wife of the Hindu god Vishnu. A notable bearer was India's first female prime minister, Indira Gandhi (1917-1984). Indira is baby girl name mainly popular in Hindu religion and its main origin is Hindi. Indira name meanings is Goddess Lakshmi. People search this name as Indira. Indira is written in Hindi as इंदिरा. Other similar sounding names can be Aeindri, Aindrila, Anaadhrushya, Antar, Antara, Antarah, Antarang, Antareeksh, Antariksh, Antariksha, Antarjot, Antarpreet, Antra, Antrix, Anudarshana, Anuttara, Inayatur rahman, Indaresh, Indarupini, Inder, Inder kant, Inderjeet, Inderjit, Indermohan, Inderpal, Indirjot, Indirpreet, Indirveer, Indra, Indradatt, Indradhanu, Indradhanush, Indradutt, Indradyumn, Indraja, Indrajeet, Indrajit, Indrajith, Indrakanta, Indrakshi, Indran, Indraneel, Indrani, Indrarjun, Indrasen, Indrasena, Indrasuta, Indratan, Indratha, Indravadan, Indrayani, Indreesha, Indresh, Indrina, Oindrila, Yajnadhar. Popular personalities with Indira Name. Indira Gandhi was a 3rd Prime Minister of India, Minister of External Affairs, Minister of Defence, Minister of Home Affairs, Minister of Finance, Minister of Information, Broadcasting, Minister of External Affairs (India), Minister of Defence (India), Minister of Home Aff. Indira was born on November 19th, 1917 in Allahabad. She breathed her last breath on October 31st, 1984. Indira Varma is an actress. She has had major accomplishments since 1996. 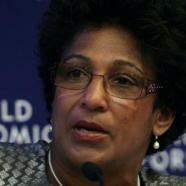 Indira was given the name Indira Anne Varma on May 14th, 1973 in Bath, Somerset, England. Indira Jaising is a lawyer. Indira was born in 1940 in Mumbai. Indira Stefanianna is an actress and singer. She was most active from 1968 to 2008. Indira was given the name Indira Stefanianna Christopherson on December 15th, 1946 in San Francisco. Indira Goswami was an assamese literature writer. Her career lasted from 1956 to 2011. Indira was born on November 14th, 1942 in Guwahati, India. She breathed her last breath on November 29th, 2011. Indira RadiY is a folk music, turbo-folk, and pop-folk singing. They have had major accomplishments since 1991. Indira was given the name Indira SubotiY on June 14th, 1966 in Dragalovci. M. was given the name Mandagadde Krishnarao Indira on January 5th, 1917 in Thirthahalli. She left this life on March 15th, 1994. 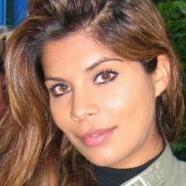 Indira is an actor and actress. 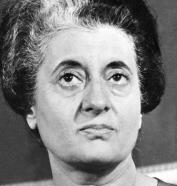 Indira is also known as Indira Billi and Indra. Other Personalities with Indira Name.